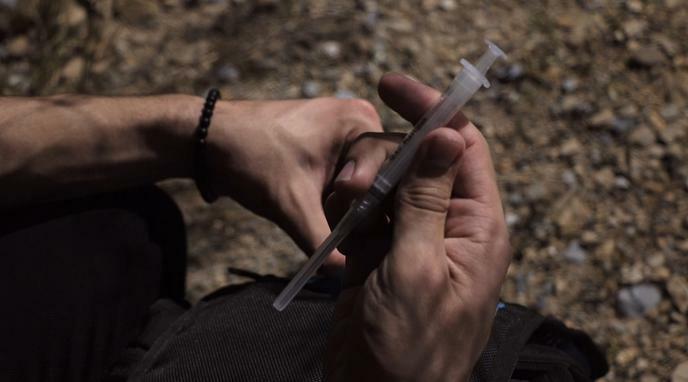 A clean needle exchange helps people use drugs. Giving out clean needles supplies users with the tools necessary to continue using, which is counter-intuitive. While it may help people use drugs more safely, needle exchanges do not promote or advertise the use of drugs. Giving clean needles helps to prevent a deeper problem, such as medical care for viruses and illnesses contracted through dirty needle use. Needle exchanges are often done in discreet places, such as alleys, and are not likely to encourage new users. If you're at a place in life where you're going to inject the hard drugs that you need needles for, a clean or dirty needle is most likely not going to be the determining fact.